“I am very anxious that you should know something about the history of Jesus Christ. For everyone ought to know about him. No one ever lived who was so good, so kind, so gentle, and so sorry for all people who did wrong or were in any way ill or miserable, as He was.”— Charles DickensCharles Dickens wrote The Life of Our Lord around the same time he was finishing David Copperfield, but to listeners raised on a diet of Dickensian wit and indignation, his rendering of Jesus' life may come as something of a surprise. 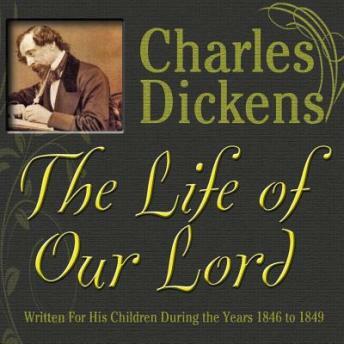 Dickens approaches his subject with simple reverence, retelling the New Testament in a manner suitable for young children – who were, in fact, his only intended audience. Originally written for his own children, it wasn't until the death of Dickens' last living son that the manuscript was finally published in 1934.